Registration will take place at all SII hotel properties. For participants staying at the Philadelphia Marriott registration will remain open until 6:00pm. If you are not staying at an SII hotel property, your registration materials can be picked up at the Philadelphia Marriott prior to the Welcome Reception and Opening Night Dinner. Please join the SII Board of Trustees and all Year One participants for an orientation to kick off Institute Week. Mission: To change the lives of children with cancer through funding impactful research, raising awareness, supporting families, and empowering everyone to help cure childhood cancer. When Alex, who was diagnosed with childhood cancer just before her first birthday, was four, she told her parents she wanted to set up a front-yard lemonade stand. Her plan: to give the money to doctors to help them find a cure. Her first “Alex’s Lemonade Stand”, held with the help of her older brother Patrick, raised an astonishing $2,000 in one day. While bravely fighting her own cancer, Alex continued to set up lemonade stands every year. As news spread of the remarkable girl so dedicated to helping other sick children, people everywhere were inspired to start their own lemonade stands—donating the proceeds to her cause. In 2004 when Alex passed away at the age of eight—her stand and inspiration had raised more than $1 million towards finding a cure for the disease that took her life. Alex’s Lemonade Stand Foundation was started by her parents in 2005 to continue the work that Alex began. Our mission is simple: to change the lives of children with cancer through funding impactful research, raising awareness, supporting families, and empowering everyone to help cure childhood cancer. Breakfast will be served at all SII hotel properties. Book Sponsored by Hilltop Holdings, Inc. The fastest way to change the feedback culture in any organization is to teach leaders to become better feedback receivers. Honest feedback is a challenge in organizations around the world, and the usual response – teaching leaders how to give feedback more effectively – has failed to solve the problem. Heen turns conventional wisdom on its head and demonstrates why the smart money is on teaching leaders the dark art of learning about themselves. Receiving feedback – particularly for smart, experienced professionals – is a distinct leadership skill. Sheila’s warmth and authenticity helps even seasoned executives recognize our own (normal, human) triggered reactions to feedback — “that’s just wrong,” “who asked you?” “I’m not the real problem here” — and she offers practical advice for turning even unskilled, crazy-making feedback into genuine learning. And once you get leaders motivated and eager to learn — willing to engage with others to see their blind spots and look at their own areas for growth — you get a modeling effect that quickly catches fire. The critical thinking sessions are engaging and interactive, focusing on common systematic biases that afflict even the best decision makers. A variety of decision-making biases will be illustrated in the context of day-to-day judgments that we make in both our professional and personal lives. Through a series of examples and case studies specific decision failures are identified and analyzed. The implications of these decision traps are examined, and recommendations on how to improve our decision skills are offered. To illustrate and then examine subtle barriers to good decisions that trip up even the best decision makers. To learn how to recognize these traps and counter them to ensure good results when managing decisions on the job. To describe the limits and pitfalls of intuition. At 92 million strong, Millennials are the largest generation and the future of business, both as consumers and as the heart of the new workforce. However, they have sharply different attitudes and expectations than previous generations. Millennials have grown up as digital natives in a rapidly changing world that endured a generation-defining recession. This lunch lecture will explore Millennials as consumers, investors, and employees. Discussion will center on Millennials’ attitudes, psychology, and decision-making. We will also explore various segmentations and differences among Millennials, as well as contrasting them to the up-and-coming Generation Z. Financially well-designed business plans often run aground in the implementation phase because of the difficulty in bringing people on board. The phrase “culture eats strategy for breakfast” has been widely used by CEOs to describe this program. But what exactly is “culture” and what role does it play in business operations. Participants in this session will: Gain familiarity with the latest theories about culture, and come to recognize the various manifestations and impacts of culture in corporate settings; Appreciate why corporations, as social groupings, not only rapidly develop distinctive culture that resist change, but are often internally riven by culture differences; Learn about the interconnections between the culture inside corporations and the external cultures at the local, national and international levels in which corporations are embedded. Culture is not only about the past and resistance to change, however, it is also itself a source of inspiration for change. Participants in the session will begin to explore the forces that affect the motion of culture through space and time, coming to appreciate the ways in which corporate leaders can affect the future trajectories of culture. Gallup’s Strengths-Based Approach to Leadership will offer insights into how you can lead your people to achieve high performance and exceed their goals. The foundation of a Strengths-Based Approach is understanding your strengths as leader, which you’ll experience through the Gallup CliftonStrengths Finder assessment – taken prior to the session and with results available to you upon completion of the assessment. With your unique Strengths as a guide, the session will empower you to build on what you do great today – your strengths – and apply new ways of leading and managing your teams. You’ll leave the session with an understanding of how you can leverage and apply your Strengths every day. This session will investigate why healthcare spending always goes up, what are the drivers, and what can be done about it. With aging, at least two events commonly occur. We’re more likely to experience cognitive impairments and we accumulate more and more wealth. In time, we retire and so we need that wealth for our well-being, pleasure, and legacy. Together, these facts can distill a powerful brew of challenges for older adults, their families, medicine and the banking and financial services industries. This course will overview the common causes of cognitive complaints and cognitive impairment and the latest initiative to improve the diagnosis and care of these disorders. Particular attention will be paid to issues at the intersections of cognitive health and wealth. These include understanding what are the causes of cognitive problems, and how they impact of financial capacity. A smart firm will strive to practice “whealthcare” (learn more at www.whealthcare.org). The lecturer will examine how a firm might achieve this through staff training, effective communication with clients and their families (especially in light of FINRA rule 4512) and deploying novel technologies to monitor and detect changes in financial capacity (as well as fraud). Attendees will leave inspired to make changes in the ways they conduct business so that they can better serve the health and wealth of the older clients and their families. Toggle Year 1 Core Programming – Ethics – What does it Mean to be Ethical? Everyone agrees that people, firms, and the financial industry in general needs good ethics. But this only prompts the question. What does it mean to be ethical? Unfortunately, most of the answers we hear on this question are talking about something else. In this session, Professor Peter Conti-Brown takes participants on a tour of unlearning by showing how ethical decision-making differs from marketing, law, compliance, and morality. Instead, ethical decision-making is about values and business strategy, not peripheral to the day-to-day, but central to it. Using examples from the financial services and other industries, Conti-Brown challenges participants to think hard about the ongoing challenge not only to identify unethical behavior but the more difficult task of building ethical individuals, teams, and firms. Professor Tiffany reviews the historical evolution of the American economy, with an initial emphasis on the foundations for future growth created at the beginning of the nation and then the emergence of the large firm at the end of the 19th century. That event shaped the American political economy over the next century as the “Schumpeterian” scenario of entrepreneurs leveraging new technologies profoundly transformed America and laid the groundwork for global economic dominance. Professor Tiffany will then bring the discussion up to the present time, by first explicating how a second “Schumpeterian era of creative destruction” created the “new economy” of technology-dominated business in the latter decades of the 20th Century, and then how the opening of globalization has now threatened that dominance. We will conclude by drawing comparisons and contrasts between the two periods, and from that consider such issues as “making America great again” in the profoundly changed 21st Century global economy. The central issue will be the sustainability of US economic dominance going forward. To inform participants of the broader economic trends of the past and how these trends can affect the direction of the American economy in the 21st Century. To provide participants with an appreciation of how business development and economic progress in America are closely related to the broader political, social, and legal trends that have evolved in this nation over its historical evolution. To stimulate participant thinking about how the changing global political-economic environment will affect economic progress in the United States in the coming decades. Leaders need to be surveying the landscape from on high, but also ready to engage in project detail at ground level. How to establish the right balance? What gets in the way of prioritization? 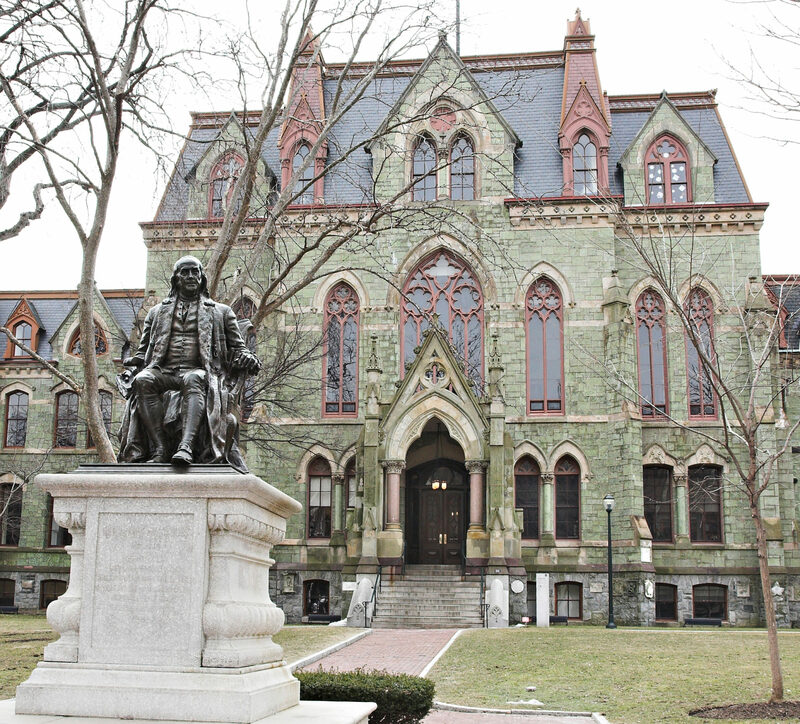 The Wharton School of the University of Pennsylvania is committed to sharing its intellectual capital through [email protected], the school’s online business analysis journal. Learn more about this resource and how to keep in touch with the latest research from the School. Financial instruments and systems are becoming more complex. In light of increased penalties for regulatory noncompliance, banks, financial firms and consumers are adopting new technologies and are looking for process efficiencies. These issues are discussed in the context of tax information reporting and complex securities, including cryptocurrencies and derivatives. In this lecture, noted security expert Tom Patterson leverages his decades fighting cyber criminals and foreign spies to take us on an insider’s tour through today’s cyber threats against the financial industry, giving a face to our enemies, and laying bare their sources and methods. In this highly interactive session, Tom tells inside stories of current real-world attacks you’ve read about, dispels myth’s and misperceptions, and encourages active discussions on how, why and what’s happening, and who is really behind it all. Armed with this information, Tom then illuminates both mistakes and successes or your financial peers, and highlights the three specific keys to defense in this time of highly disruptive cyber-attacks that we work in. Understand how today’s threats require new thinking to defend. Learn from other’s mistakes and avoid their own. In this interactive session, FBI Special Agent Kevin Rietema will share his experiences regarding both financial and cyber threats to the financial services industry and share leading practices that each participant can use in their day to day professional and personal life. Through a compliance lens, Kevin will share indicators, the current threat landscape as well as past experiences relating to terrorist financing, cyber threats, money and cyber laundering via international and domestic terrorism, Espionage, insider threats, and nation state cyber activity. Many organizations function in the same way they have for decades, expecting that the next generation of workers and clients will simply accept long-standing corporate values and norms. While it may be tempting to think “this is just the way we do things around here”, such a mindset lacks the imagination needed to create an organizational culture where the youngest generation of workers will wish to contribute their best—and where clients across generations will be engaged. In this presentation, we will discuss the values and worldviews members of different generations bring to the workplace and why. We will discuss the elements of a collaborative environment that engages staff across generations, and we will explore how you, as leaders, can help co-create an organization, and a team culture, that will more effectively engage contributors, leaders, as well as clients. Learn about what informs other generations’ values and behaviors—ideally with less negative judgment. Identify ways to be more flexible in your approach toward leadership, and building teams so as to engage and retain the next generation of employees. Why do certain products and ideas catch on, and how can we use these insights to make our own organizations more successful? This session will reveal the secret science behind word-of-mouth and social transmission. Discover how six simple principles drive all sorts of things to become popular. If you’ve ever wondered why certain stories get shared, brands get more word of mouth, or videos go viral, this session explains why, and shows how to leverage these ideas to craft contagious content. Learn how to leverage presented concepts to generate more word of mouth and referrals. Learn actionable techniques for helping information spread—for designing messages, advertisements, and information that people will share. By emphasizing the importance of accounting data and managerial metrics on a firm’s performance, “Accounting for the Non-Financial Executive” is a workshop that allows non-financial executives to become familiar with basic accounting information and through the use of ratio analysis understand the linkage these tools can provide to understand financial statements. As a leader in your organization, having an understanding of accounting terminology and different measurements tools (i.e., ratio analysis and KPI’s) is crucial to understanding financial performance. This workshop will increase your ability to understand a basic financial statement, provide an introduction to ratio analysis and key performance indicators (i.e., KPT’s) in order to enhance understanding of the accounting tools used to make sound financial decisions. Participants will be exposed to the major components of financial statements and with strategic ratio analysis use that information to analyze decisions being made by different organizations. The financial statement analysis will focus on ratios for operating efficiency, asset use and the equity multiplier (i.e. leverage), with additional ratio information provided for use after the workshop. Participants will be exposed to managerial accounting information and KPI’s. The management accounting examples will focus on how these measurement tools communicate information in pursuit of an organization’s financial goals. Central banks have come to be regarded as the “only game in town” for economic policy-making. But what are these curious institutions, where did they come from, and where are they going? This session analyzes these and related issues by providing a brief history of central banking and focusing on the ways that central banks today and in the future will dominate the landscape for banking and finance the world over. The focus will be on the U.S. Federal Reserve System, the European Central Bank (and its predecessors), and the People’s Bank of China. Toggle China: Future Prospects and their Economic Implications for the U.S. Ideal for: Participants who want to improve their appreciation of and insights regarding the current political economy of the Peoples Republic of China, and the relationship between that nation’s recent economic expansion and prospects for the future of the United States of America. The rise of China since the 1990s has been the most significant economic event in the world in recent times. However, the actions of the Administration of President Trump since 2016, as well as his own frequent outbursts on the relationship of our nation with China, have created great uncertainty about the future—including in financial markets. Today we appear to be at a crossroads about how we will respond as a nation in the coming years to China’s political and economic evolution. This elective session will first briefly review the remarkable rise of the Chinese economy from the rise of Mao in the mid-20th Century into the current era of the early 21st Century. We will focus on the historical roots of that transformation, and how these have shaped the current attitudes and perspectives of the Chinese leadership towards economic priorities, growth, and relations with its off-shore business entities. We will then turn specific attention to the prospects for future political-economic relations between the PRC and the USA as the “American Century” winds down and an aggressive new American President with a stated nationalist agenda takes the helm—while in China a transformative President appears determined to raise that country to global preeminence if not outright superiority over the US. Participants will be challenged to consider how the many benefits of “doing business with China” for American firms must be balanced against the ultimate ends and goals of that nation as they relate to the value proposition of the United States—which includes respect for democracy, free markets, a rules-based world order, and human rights– and its own ambitions in the decades ahead. Have a better understanding of the evolution of the contemporary Chinese economy and how that historical development has shaped the attitudes and perspectives of China’s leadership toward business and investment activities within the country, and abroad. Increase their awareness of the opportunities and threats posed to US-based investors who choose to operate within the confines of the Chinese economy today. This session will focus on our latest market and economic perspectives on the Emerging Markets. Emerging market equities posted significant gains +37.5% in US Dollar terms in 2017, only to disappoint investors in 2018. With the volatility in emerging market assets this year, investors wonder if the weakness will continue or if there is a potential for a comeback. The 2018 emerging market underperformance has been driven primarily by the trifecta of a stronger US dollar, idiosyncratic country risk, and geopolitical headlines. Performance may gain momentum as these conditions, which are likely temporary, start to unwind. We believe the macro environment will stay supportive of risk assets and emerging equities remain poised for a comeback. In our view, Emerging Markets remain a key driver of global growth over the longer term. Although, there will be differentiation at the country, sector, and, stock level, we continue to believe that exposure to the Emerging Markets across assets classes should be a critical part of investors’ strategic long-term asset allocation. Understand the primary drivers of underperformance in 2018. Explore the current state of the Emerging Markets and the implications from central bank action and policy. Examine trends that may continue to fuel growth going forward. This year promises to bring many new emerging regulatory issues to financial services firms. A proactive approach to compliance in identifying and implementing sound business practices, policies and procedures to promote a good working relationship with industry regulators will be even more important in 2018. This course will focus on pending and current rulemaking that will impact the financial services industry, examination priorities for 2018 and best practices for interacting with many types of regulators). Ideal for: Participants who want to understand why ETFs are displacing mutual funds, improve their understanding of the ETF due diligence process, and learn to evaluate passive investments. If you’ve ever wondered how to choose among seemingly identical products, worried about ETF trading, scratched your head about tracking error, or wondered how a product costing 5 basis points can survive, this is the class for you. Buy-side due diligence teams, risk managers, wealth managers, and active equity and fixed income managers can all benefit. Exchange-traded funds have grown enormously over the past decades, capturing market share from mutual funds, hedge funds, and separately managed accounts. One out of every five dollars in publicly available equity funds is now in ETFs, up from one in eight just five years prior, and zero twenty-five years ago. The active-to-passive trend is even starker, with active management losing ground every year since 2014. As investors embrace passive management and the exchange-traded fund structure, fiduciaries can find themselves facing new questions. Often, simple rules of thumb such as looking for the fund with the highest asset level, lowest expense ratio, or highest daily inflows can lead to costly mistakes. This session will cover the fundamentals of ETF due diligence, with case studies, lively lectures, and Q&A. Topics will include in-kind creation/redemption, which is the key differentiator between ETFs and mutual funds and the driver behind ETF’s competitive advantage; holding cost and risk analysis; an overview of exchange-traded product legal organization types, liquidity evaluation and trade analysis; and, most importantly, index construction as the most critical driver of long-term performance. Most financial professionals recognize that asset allocation, long a predicate of portfolio construction, dynamics, implementation, monitoring, and rebalancing, is a fundamental determinant of investment risk and return. However, many asset classes are highly correlated and respond to common sources of risk, return, correlation and other characteristics known as investment factors. Long understood as comprising the building blocks of investment performance in academia and the buy-side, factor-based investing is now becoming democratized and increasingly present and available in broader circles. This session will define factor-based investing, present evidence on the existence of factors in returns, and how factors, factor betas, and factor premia may be used to create portfolios and to assess investment performance. Covered will also be how factor-based investing relates to traditional active management, the “new” definitions of alpha and beta, implications for multi-asset class investing, the advent of smart-beta strategies as well as their implications for investing with alternatives. Economies and markets globally are impacted by the policy actions of the Federal Reserve. The FED has a dual mandate to maximize employment, subject to a constraint of keeping inflation low and steady. The FED monitors key variable related both to the job market and to inflation. We will analyze different gauges on the Federal Reserve’s “job market dashboard” and its “inflation dashboard.” The U.S. now exceeds ‘full employment’ as commonly defined and measured by the official unemployment rate. However, other metrics do not indicate truly full employment. We will show and analyze four forms of underemployment. We will discuss the possibility that there is still slack in the labor market that could account for the relatively slow wage growth the US economy is still generating. Our analysis of the “inflation dashboard” will show that the FED monitors a variety of metrics and that these are crucial for its decisions about interest rates. These decisions have a strong influence on financial markets. We will discuss the recent path and forecasts for inflation, in light of the FED’s targets. Financial professionals need to understand the dynamics of the economy and financial markets. Specifically, understanding the impact of the economy on employment, and the role of the job market and its performance on financial markets, is crucial. This session aims to heighten understanding of job market linkages with the economy and with financial markets. The performance of the US job market, and the degree of underemployment or “slack,” has been the subject of intense analysis by economists, financial professionals, and policymakers since the financial crash of 2008. An objective here is to discuss the metrics used by experts to analyze the job market and its practical impacts. Markets and economies globally are impacted by Federal Reserve policy. The FED has an “inflation dashboard” which gives them useful metrics for determining policy. This session aims to be highly engaging, discussing with financial professionals the implications of the FED’s “job market dashboard” and “inflation dashboard” on potential investment strategies. Review and discuss the basics of exchange rate market: terminology, institutional features, common contracts, and market size and structure. Introduce concepts such as effective exchange rates, cross currency rates and dealing with pricing in a dealer market. Link the FX markets with the offshore money markets and summarize equilibrium market view for current and future exchange rates, interest rates and expected future macroeconomic conditions. This session lays the groundwork for understanding how the FX markets work. To gain intuition of equilibrium conditions that tie together exchange rates, interest rates and future macroeconomic conditions. Ideal for: Non-operations professionals in the securities industry. This course provides a broad and basic perspective of brokerage operations covering Global Markets across a range of products, functions and services. Topics will include the life cycle of securities transactions from execution through clearance/settlement and custody, as well as critical client service and operations risk management functions. Operations will be discussed from both a macro industry perspective and the inner workings of individual broker/ dealers. Develop a basic understanding of brokerage operations. Describe the life cycle of a standard trade in Fixed Income and Equities. Understand how regulations impact the brokerage industry. Toggle Generating Cashflow for Retirement: Caviar or Cat Food? In theory, retirement begins on the day an employee receives their last paycheck—that is also the day that they begin to look at their investments differently. The paycheck is, in essence, an investment safety net and one that no longer exists for a retiree. Shifting demographics, elongated lifespans, increasing inflation expectations, the decline in pensions, and secular changes in the interest rate environment are just some of the issues forcing the financial services industry to redraw the playbook for retirement income. This session will explore the differences between the accumulation and distribution phases of the investing cycle. It will detail the history of retirement cash flow generation and introduce a new, more diversified approach using a wide array of investment solutions available in today’s marketplace. With more than $2.5 trillion in self-managed 401k assets preparing for rollover in the next decade, professional advice has never been more needed. For many, particularly the underfunded, it could be the difference between eating caviar or cat food in retirement. There is currently considerable debate about market structure reform and both the industry and the regulators are weighing in. This session will focus on how and why we arrived at this current market structure and explore why reforms are being discussed and how this all connects to increasing investor confidence. The session will provide background on how the market structure evolved to what it is today and perhaps more importantly, why it evolved that way, what were the intentions of the legislation and rule making that shaped it and what were some important unintended consequences. Explore the symptoms of the current market structure that are occurring and that have led to market structure reform now becoming so topical. Identify what are the problems the regulators and industry are trying to solve or should be trying to solve. Discuss the real benefits of the current market structure and the potential drawbacks, all through the lens of regaining trust and confidence of the public in the markets and the industry. This session will simulate a real securities arbitration. Participants will watch a condensed proceeding based on common investor disputes, with experienced trial attorneys playing the roles of Claimant’s and Respondents’ counsel. A discussion of case, and of best practices to prevent litigation and client disputes, will follow. Participants will receive a one-page background fact document prior to attending this session. Evaluate the pros and cons of this method of dispute resolution and understand how arbitration differs from court litigation. See, up close and personal, the arbitration process from opening statements to conclusion. Learn what issues create problems for investors, financial firms, investment professionals and supervisory/compliance/risk and support personnel. Learn how to avoid problems that lead to arbitration and keep records to assist in defending claims. Ideal for: Participants who would like to get familiar with private equity industry, learn the anatomy of a deal, industry trends, secondary purchases, co-investments, and understand the sources of value creation and the drivers of return of private equity funds. Private equity is an asset class that has potential to generate sustainable long-term returns for its investors. Although it is relatively a new asset class that has some unique characteristics that may not be familiar to investors, it has become a key component of many investors’ portfolios. In this entry-level elective session, we will cover the structure of a private equity fund, and describe how a private equity fund operates and governs its portfolio companies. We will then talk about the changing trends in the private equity industry. We will also discuss whether and how a private equity fund creates value in a changing macroeconomic landscape. Toggle Risk Management – Journey or Destination? This session will focus on risk management practices for the financial services industry. The discussion will include why risk management exists, the lessons learned from significant events and what environment is required for an effective risk management program. Other topics will include impact of biases and incentives, accountability for risk management, positioning risk management within the organization. What is risk management from a practitioners view? What attributes/ capabilities can enhance or degrade a firm’s risk management effectiveness? What structures and incentives can firm’s utilize to fortify their risk management capabilities? Ideal for: Customer-facing industry professionals or any participants interested in understanding regulatory controls designed to protect investors. Identify key regulatory areas that impact financial services. Understand the importance and intent of these regulations. Gain an awareness of basic regulatory requirements in each of these areas. This course will help you understand the dependable sources of “tax alpha”. The goal is to not disturb pre-tax returns while achieving higher after-tax returns. You may be familiar with loss-harvesting, but what about gain harvesting? We will also explore the many ways to invest in the S&P 500, gold and MLPs. Wall street’s creativity has spawned multiple ways to get exposure. Surprisingly different investment products dedicated to the same asset class may produce the same pretax return, but the after-tax returns can vary greatly. Toggle What is the Fiduciary Standard of Care? This session will give you a baseline explanation of what is called the “Fiduciary Standard of Care”, the history and evolution, what it means, how it compares to commercial standards including the broker/dealer standard of care, and the effect on our industry. Attention will be given to the latest developments in federal and state regulatory bodies. Although interaction and questions are encouraged the presentation is not designed to debate the DOL rule, the SEC role, nor SIFMA’s position. Establish a basic understanding of the “Fiduciary Standard of Care” for those who are not exposed to this standard on a routine basis and a baseline for those who are. Ideal for: All industry professionals or anyone interested in learning about the US Social Security system. With limited other resources, clients are turning to their financial professionals for advice on Social Security. Advisors who can provide education and guidance on Social Security as part of the retirement planning process are more likely than their peers to retain retiring clients, grow share of wallet and gain referrals. Toggle Distributed Ledger Technology: Is it Real or Hype? Gary DeWaal – a Special Counsel at Katten Muchin Rosenman and, in 2018, recognized as a “Go-To Thought Leader” by the National Law Review and a “Cryptocurrency, Blockchain and Fintech Trailblazer by the National Law Journal – will address the evolution of cryptoassets and blockchain technology since the mining of the genesis bitcoin during January 2009. He will concentrate on current applications of blockchain technology; distinguish between decentralized and private ledgers, as well as proof of work vs. proof of stake and other consensus mechanisms; discuss the different types of digital tokens and their legal implications both in the US and abroad; review pending legislative initiatives relevant to blockchain technology; and apply his crystal ball to the future. In his review, he will address current regulatory issues at both the CFTC and SEC. Today’s workplace requires a high degree of collaboration. Nearly everybody works on a team, and most organizations have to partner with others on multiple strategic initiatives. Leveraging teamwork is essential to success. But the fact is that most teams fail to reach their full potential. This session is about that cold, hard truth, and what can be done about it. We will discuss the latest research about forming, guiding, and inspiring teams to reach peak performance. Learning how to establish the foundations of a successful team. Getting comfortable with managing the teamwork process. Understanding how to build teams of teams across your organization and with your strategic partners. Honing the ability to communicate a motivating vision. Gaining insight into different communication styles and learning how to adapt styles to enhance collaboration. 3) Encourage specific that boost group performance. Using quiz questions, we will engage and explore how to avoid Motivation and Engagement Pitfalls. The questions invite discussion and create opportunities to delve into topics of interest. Participants are encouraged to share their own experiences and insights. Thriving at work, high life satisfaction, happiness and resilience all require the same capacity: the capacity to navigate difficult moments well. Our conversation considers research from the fields of Positive Psychology and Appreciative Inquiry, fields which examine who we are at our best as individuals, teams and organizations. We’ll explore tools and perspectives that enable us to handle inner conflict, difficult conversations and moments of extraordinary stress well. These are tools that bring mindful awareness to any one moment and change that moment into one of opportunity; opportunity in which we not only address the stressor directly, but leverage that very conflict to become more authentic, more rooted in our strengths and values, more clear about the road ahead and more of our better selves. In other words, better leaders. Attendees will leave with experience practicing mindful pausing, identifying one’s ideal self, and leveraging positive change in themselves and others in the most challenging moments. Examine the contagion effect to teams of becoming more one’s best self. Public policy always impact economies and financial markets. Such impacts are particularly pronounced now. The uncertainty surrounding trade, fiscal, geopolitical, and monetary policy is contributing to heightened market volatility. The Tax Reform package has been the major economic initiative of the Trump administration and Congress. We will analyze its economic and financial impacts. The cuts likely contributed to the “Trump bump” in economic growth and the stock market (until the bear market this winter). However, the tax cuts are increasing the Federal Government deficit, which was already forecast to grow significantly. The extent of the impact is uncertain, so we will discuss possible scenarios. Deficits imply government borrowing, achieved by issuing more Treasury Securities. Thus, deficits add into a Gross Federal Debt that already exceeds $22 trillion. If the deficits do increase over the next decade, will the US government debt become so large that people will not want to hold it? If so, bond prices would decline, market interest rates would rise, and the sustainability of the debt will become a crucial issue. Further, government deficits can exacerbate trade deficits. This seems to be the case in the U.S now. These deficits have led President Trump to turn toward protectionist trade policy. We will analyze the impact on business and markets of new trade policies. The ultimate goal of this elective aims to engage SII participants in an exploration of the U.S. fiscal, trade, and financial future. Understand the evolution of fiscal policy in the US. Fiscal, also known as government tax and spending or budgetary policy, is a key determinant of the performance of the US economy and financial markets. Participants will develop and/or update their skills analyzing the theory and practice of fiscal policy. Real-world data and trends will enhance learning. The tax reform package is the major piece of economic policy during the Trump administration. Participants will gain an understanding of the aims and the preliminary impact of the tax package on the US economy and financial markets. Impacts can include the subsequent changes in economic growth, financial markets, interest rates, and exchange rates. Almost all nationally-and internationally-renowned economists are analyzing that the new tax package is increasing the US budget deficit. However, the channels of impact and the magnitude of impact on the federal deficit are subject to considerable debate. This session aims to portray the range of forecasts, the reasons why forecasts differ, and the implications of increased deficits. A prime objective will be to show how deficits accumulate into increased debt, and to analyze the sustainability of increased US federal debt. Finally we aim to portray how fiscal policy may impact the trade balance, leading to changes in trade policy. Modern Portfolio Theory and the case it makes for diversification have long been foundations for investing. However, since the financial crisis, disparate asset class performances have brought investors to question the benefits of asset allocation. This session will break down the performance drivers in the current market cycle and lay out the global growth story, making the case for continued asset diversification. It will examine the issues currently facing globally allocated portfolios and survey several strategies and techniques investors can use to mitigate these problems. Topics will include strategic versus tactical allocation, active versus passive investing, and the power of rebalancing, among others. The goal of this elective is to give the participant a broader and deeper understanding of the forces affecting asset allocation portfolios in the 21st century and to make the case that diversification still works—that it’s not “different this time”. Confident, persuasive body language – and yes even charisma – can be broken down into its components and taught. In this session, participants will learn insights from psychology on body language and how it can build rapport and project confidence in order to persuade others. Through a series of interactive exercises, video analysis, and practice sessions, participants will see and experience the difference that persuasive body language makes. They will hone their abilities to read others more accurately, and to have greater choice in how they are being perceived. And, they will practice how to simultaneously project power, warmth, and presence. The information delivered will greatly challenge the audience to examine their businesses today on how they will have to be positioned in the coming years to continue to be successful in the industry. At the core of any organization’s performance are the decisions that leaders make…those financial, strategic, human resource, marketing and leadership decisions that in the end determine an organization’s performance. Thus, to understand how to improve decision-making is a truly fundamental issue. In this session, we will discuss a range of decision “traps” commonly observed in decision makers. These biases are widespread because they are in part derived from how the human brain operates. Drawing on the findings of recent research, this session will expose participants to decision biases through short exercises and offer ways to alleviate them. Issues to be covered are: understanding the problem; seeking non-confirming data; making a decision; and, building trust. The Herrmann Brain Dominance Instrument (HBDI™) is a 120-question diagnostic survey, the answers to which indicate an individual’s thinking style preferences. Our minds have preferred modes of operating that impact how we see the world, how we interpret what we see, and how we communicate with others who are also operating from their own preferred modes of thinking and speaking. Thinking preferences influence communication, decision-making, problem solving, and management styles. By understanding their thinking style preferences, participants will gain a new perspective of themselves and the people with whom they interact each day. In this HBDI session, a series of interactive exercises is used to get participants comfortable with the model, conversant about each of the 4 styles, and aware of the dangers of over-simplifying the process. This session offers a wide range of exercises and will choose a combination of exercises specific to each group’s needs. Participants will also explore when thinking styles are problematic. Through development of self-inventory, participants will learn about their own hot buttons and the hot buttons of others and develop strategies for addressing these situations in a constructive manner. This course will require a 120-question survey to be completed prior to the participants’ arrival. Realize increased self awareness by identifying their preferred thinking styles and the thinking styles of others. Recognize when their thinking styles are problematic and how to put corrective strategies in place to get back on course. The session focuses on the question of how to sustain a successful enterprise during periods of disruptive change. It draws on case studies and recent examples to discuss the challenges of managing discontinuous changes in an industry. The instructor will share frameworks that enable a systematic approach to evaluating and managing the different types of changes confronting a firm both from strategic and organizational perspectives. Leadership & Followership is based on the notion that leadership is relational, that people must accept the leadership of the person in charge in order for him or her to influence, to guide, to lead. The session focuses on leader-follower relationships—both healthy and unhealthy—and, using real-world examples, analyzes what characterizes good followers and good leaders and how leaders and followers aid and hinder one another efforts. This session will involve lots of discussion and drawing on participant experience. Have you ever been on a group project in which everyone worked hard but no one got along? How about a group in which everyone got along but no one worked hard? How do you turn a group into a team with positive group dynamics and high productivity? This session will help you identify the key factors that can help turn a group into a team. In addition, by participating in a survival simulation, you create a live “case study” and opportunity to reflect on the ways in which you typically contribute to and participate in group work. By the end of the session, you will have a better understanding of how you work in a group and make a group work. Understand the key differences between groups and teams. Reflect on ways individuals participate in and contribute to groups. Practice working in a group and making a group work. The Negotiation Workshop is fun and very interactive. It will utilize simulations to highlight key concepts and skills. Participants will conduct mock negotiations and then discuss what occurred. The workshop is intended for those who would like to improve their negotiation skills as well as those who are already accomplished negotiators. Workplace interactions can create extraordinary engagement and vigor that allow people and organizations to thrive, or they can have the opposite effect. This workshop explores the difference between the two. Our interactions at work, however brief or extended they might be, have qualities that if better understood can allow us to harness the positive impacts of them. Gaining insights into these qualities is essential for us to perform at our best. We are social beings that require a connection; many argue that most of the work in organizations is conducted through informal methods and networks based on our connections. While communication is one way we connect, if done correctly it can bind us, or if done incorrectly it can alienate us. The workshop will help participants understand distinctions between communicating and connecting for results. Drawing from psychological and management research on positive emotions, relationships, and connections at work; participants will learn how to create and then harness high-quality connections for the benefit of all. To understand the meaning and importance of connecting with others. To become aware of the research based criteria that help create high-quality connections. Learn techniques that help conversations become more engaging and lead to the building of connections. Recognize how we create value for each other at work and use this awareness to build connections. Today’s business environment is no longer described as having an “ebb and flow”, but rather a permanent “whitewater” condition. This increased speed of change has caused a movement from discrete-event strategic planning to more dynamic planning – the quarterly strategy “refresh”, for example. However, many organizations struggle with the ability to stay nimble to respond to rapid market changes because of a variety of factors. This session explores the common barriers to agility, discusses ways to create a culture of productive paranoia, and describes three concrete actions in achieving strategic agility. Understand the importance of establishing concrete strategic decision rights. Describe the characteristics of a culture of “productive paranoia”. Identify key future trends and uncertainties for the organization. This session will focus on developing an outside-in strategy as a key driver of the marketing proposition, the idea that firms succeed when they deliver value to customers. We will discuss the marketing planning process which begins with a strategic overview of the 5Cs (Company, Customers, Competitors, Collaborators and Context), proceeds through a process of understanding and evaluating customers (Segmentation, Targeting and Positioning) to ultimately arrive at a marketing strategy. We will discuss what it means to be customer-centric and to develop a “value monopoly,” as well as how to build a brand that customers trust and prefer. Understand the basics of marketing and branding. Understand the elements of a marketing plan. To succeed, businesses have to understand their customers – from determining their wants and needs to delivering customer satisfaction and maintaining relationships. What drives their decisions? What motivates them to take (or not take) action? This presentation will discuss practical, science-based insights to better understand customer behavior, and how to use those insights to drives success. From avoiding decision quicksand to how people process information, I’ll share tools to shape the choice context, increase influence, and drive customer growth. This session focuses on three cases in which General Rapp led a collaborative effort to build a vision needed to energize and guide needed change in three very different and complex organizations. General Rapp was the commander (CEO/President) of each organization – all of whom knew he would only be with them for a finite period of time and thus they could hold their breath and outwait him. The first was a 5200 strong Corps of Engineers division that controlled all waterways, flood control, hydropower, environmental restoration, and regulation from St. Louis north and west to the Puget Sound (14 US states.) The second was the 17500 strong organization he led in Afghanistan where we needed to rapidly change the mindset from growth to drawdown and put all logistics and transportation infrastructure in place. The third was the 1100 strong US Army War College where he needed to change the culture of an academic institution. Most corporate and public entity visions he has seen are palliatives that say little and drive less. General Rapp found that, if well-constructed and attuned to the work force, a vision can be extremely powerful in creating organizational change. Discussing those cases and the resulting lessons are the focus of the session. This course will focus on the increasing power of women in the global economy and how we can close the gender gap. Research has demonstrated that women continue to be a powerful economic force and by investing in them, we better families, communities, and society. Regardless of where you invest in women, one finding is consistent, that when you invest in women, we create a multiplier effect that impacts markets around the world. In this session, we will explore how bringing more women into the labor force and providing female business owners with better access to capital, can substantially boost GDP growth and per capita income. Additionally, our research has also shown that as economic opportunities for women improve, countries can reap the benefit of a ‘double dividend’ as women are more likely to use their earnings and increased bargaining power to buy goods and services that improve the family’s welfare. This should create a virtuous cycle as female spending supports the development of human capital, which in turn will fuel economic growth in the years ahead. At the same time, economic growth should continue to bolster gender and income equality which is critical to sustainable development. Explore the powerful role that women play in the global economy. Understand the gender gaps that exist across various regions. Recognize the potential for growth, wealth and social improvements from increasing female participation and discuss ways we can close the global gender gap. Recent academic work on the science of innovation and creativity has revealed a new, evidence-based approach to coming up with new ideas and solving problems – but it is one that is not widely known outside of academia! In this session, we will first discuss these new approaches to innovating, including a number of simple tips and common mistakes. Then, in the second half of the session, you will play the Breakthrough Game, which allows you to apply the tools you learned to use in a fun and engaging way. Playing the Breakthrough Game, participants not only solve one particular challenge as a team but also, crucially, learn how to drive the innovation process in the future. You will come out of this session with short-term takeaways that will make your future idea generation sessions more productive, an actionable idea that you can pursue, and a general framework that you can use to solve problems and search for new opportunities. The session will focus on how leaders can build high flying teams that enable them to implement their strategies successfully, with special attention to the challenges of managing teams that are dispersed, diverse, digital and dynamic. We will introduce a tool for analyzing your own teams, the Team Effectiveness Pyramid, and work through how to use this tool to diagnose your teams and figure out how and where to intervene to make them stronger. This workshop will help strengthen your influence and persuasion skills — skills you need to win support for important initiatives, achieve organizational alignment, and implement strategies. Through a series of interactive discussions and role-plays, you will answer four key questions: What are the steps that led to buy-in? What is your communication style and how do you use to engage stakeholders? How do you make your ideas simple and compelling? How do you generate lasting commitment? The workshop content is drawn from the book The Art of Woo: Using Strategic Persuasion to Sell Your Ideas (Portfolio/Penguin), co-authored by G. Richard Shell and Mario Moussa. Learn about the six channels of influence and how to use them effectively. Optimize each message so it appeals directly to your counterpart’s style and interests. Measure your progress on real problems you bring to the program and see immediate results. Map the political landscape of your organization to see where the landmines are buried and where your allies can help you. Experience enhanced self-awareness, including emotional intelligence. Enhance the ability to assemble winning coalitions. Participants will be asked to complete a survey and to read a chapter of “The Art of Woo” prior to attending this session. The objective of the session is to help the students understand the theoretical framework and practice of business model design and innovation. In particular, we introduce the theoretical development in business model research, the design elements of a business model as well as the value drivers of innovative business models. In addition, we examine the process through which innovative business models can be designed and identify challenges entrepreneurs and managers faced in the business model innovation. Introduce the concepts of business model and its design elements. Help students to develop their own perspectives on and skill sets for business design and innovation. Why are so many people suffering from change fatigue? What might we do differently as individuals and as leaders to help ourselves and others cope better with a world dominated by change? How might we approach organizational change differently, so it succeeds more often, i.e., produces sustainable, desired patterns of behavior? In this experiential session, participants will discover techniques to improve their collaborative relationships. The session explores practical, applicable skills for increasing the ability to effectively communicate with others — to hear and be heard. The atmosphere of the session is lighthearted and fun, utilizing activities developed from traditional and non-traditional training methodology, including exercises based in improvisational theater training. No one is singled out — all exercises are performed in large or small groups. The facilitator creates a comfortable atmosphere in which all participants are supported and encouraged. Every exercise has a specific objective and will be debriefed to maximize its application to the participants’ business-place needs. Increase effectiveness in workplace collaboration by recognizing one’s strengths and challenges. Recognize and capitalize on a group’s similarities and differences. Increase awareness of one’s ability to be “present,” focused and energized while working with others. Practice letting go of one’s agenda and building upon others’ ideas. Explore the concept of ‘true collaboration’ in equal partnership toward reaching a goal. Explore the concepts of ‘Perception trumps Intention’ and ‘Emotional Congruency builds Trust’. Explore the benefits of risk-taking and recovery from mistakes. Increase confidence in spontaneous behavior. Do you prefer to communicate directly, emphasize facts over feelings? Are you more animated in your delivery? Do you take your listener’s feelings into account? Do you like to think first and then speak? Whatever your preference, what impact does your communication style have on others in the workplace whether one-on-one or in group meetings? How can you make the most of assets and downplay the liabilities of your communication style? Complete the HRDQ What’s My Communication Style questionnaire as pre-work, and this session will help you identify your dominant communication style and give you the opportunity to see your style in action so that you can make the most of assets and downplay liabilities. By the end of the session, you will have a greater appreciation of the impact of communication style on interpersonal relationships and results. In this session we explore implications of the Confucian tradition for understanding business organizations and consider practical examples of Confucian management. On a Confucian view, the business organization can be viewed as a team. Management functions much like the leader of a symphony orchestra or an improvisational jazz ensemble, facilitating its members in creating a good that brings members together as a community. Credible authority for managerial leadership emerges from its role in identifying and fostering a distinctive team good. We will contrast the Confucian view of management with certain western views, which see the function of management as arranging incentives to induce optimal performance among employees. As the world becomes more interconnected, firms must form links with other firms to remain competitive. This session focuses on the creation of a strategic network, which is a set of interconnected alliances. Key decision factors in forming networks are discussed and the relative efficacy of the timing of entry, involvement in the network creation process, and resource commitment to the network are explored as success drivers from network participation. Research from Google’s best-performing teams suggests that among many factors that contribute to the health of a team, the most important lever is the experience of “psychological safety” on the team. Drawing upon current research– from Google, MIT and other organizations — we will explore what psychological safety means for employees, why it’s so important, and what you, as leaders can do to create the conditions for it on your teams. Though we may think we are creating the conditions for collaboration to occur, the truth is that, without awareness, we may inadvertently undermine the experience of safety team members have of you, and of the team. What’s at stake is a more collaborative team environment, as well as greater engagement and aliveness for all. In a rapidly changing environment, businesses have new opportunities to redefine their value proposition, reimagine their organization, and develop structures, system and processes to achieve new outcomes. However, leading transformational change requires navigating disruptive innovation and the new business models they create. In this session, we will explore the basic principles of disruptive innovation. Through an interactive lecture format, we will examine why organizations have trouble innovating and reacting to innovations. Participants will reflect on strategies to effectively incubate innovation, build teams that can operate in ambiguity, and cultivate a “start-up” mindset. We will use case studies from companies and leaders that have found success by becoming their own disruptors. • John Kotter’s seminal research in the field of change management half a century ago revealed that only 30% of change programs succeed. • A 2008 global IBM study of major change initiatives found that only 41% fully met their objectives, while 44% missed their budget, time, or quality goals, and 15% were seen as total failures. • In 2013, a report that aggregated over 6,000 senior executive surveys revealed that 70% of change efforts fail to achieve their target impact. “…no business survives over the long term if it can’t reinvent itself. But human nature being what it is, fundamental change is often resisted mightily by the people it most affects: those in the trenches of the business. Thus, leading change is both absolutely essential and incredibly difficult” (Kotter 2007). • Improve the capacity to lead change. Examine features of investment returns in global capital markets. Compare US equity performance with Developed Market equity and Emerging Market equity and different methods to invest such as ADRs, and ETFs. Examine size and return features of the global bond markets. Discuss impact of currency risk on foreign investments. The 21st century has and will continue to see a revolution in the way we think about money. In this session, financial historian and legal scholar Peter Conti-Brown will provide an overview of what money is, where it comes from, and where it is going. He will focus on the costs associated with large-bill currency; what central banks make of Bitcoin and other kinds of decentralized, private currencies; what new regulatory approaches to fintech will mean; and what entrepreneurial options you should watch in 2020 and beyond. • Realize increased self awareness by identifying their preferred thinking styles and the thinking styles of others. • Recognize when their thinking styles are problematic and how to put corrective strategies in place to get back on course. • The Science of Resilience: You will learn about the factors that enable people to navigate adversity and thrive, and what increases well-being. • Learned Optimism: You will learn about the many benefits of optimism on productivity, well-being and health and will practice a skill to enhance optimism. • Gratitude: You will learn about the benefits of developing a gratitude practice on health, sleep and workplace productivity and will practice a gratitude intervention. • Define resilience that builds the capacity to effectively navigate adversity and grow and thrive in the face of stressors. • Understand the science of optimism and learn coaching questions to develop an optimistic mindset in oneself and to guide others in approaching change and adversity through the lens of optimism. • Understand the science of gratitude and practice a sustainable gratitude habit. It’s hard to get people to do something or care about something if they can’t remember what you told them. Whether it’s externally to customers or internally to employees and co-workers, we’re constantly communicating messages and ideas. How can we communicate more effectively with our clients, helping them understand the suggestions we’re making and the value we provide? How can we make sure our boss, or employees, remember our suggestions? This session will provide a framework for making ideas stick. Tips and tricks to avoid the curse of knowledge, communicate more effectively, and drive people to take action. Innovation and entrepreneurship are increasingly driving economies around the world. The purpose of this session is to put you in the shoes of the innovator/entrepreneur. Doing so will be useful in both leading innovative organizations and in participating in the innovation economy, such as in an enabling or even in a regulatory role. We will cover three aspects of mastering innovation in this session: (1) generating and evaluating innovative ideas; (2) creating value from innovation; and (3) capturing value from innovation. Organizational culture, a critical component for the success of strategy and organizational decision making, impacts how employees frame their organizational world, including their own performance, commitment and attitudes toward the workplace. Using a group exercise participants experience how culture impacts “objective” business data interpretation and decision making. In addition, through examples and clips we explore what is organizational culture, how it functions, and how it can be adjusted. This includes how meaning is infused into artifacts, the impact of leader behaviors as well as managing sub-cultures in large organizations. The session ends with an intriguing and symbolic puzzle activity that exemplifies the impact of culture on framing organizational decision making. • Identifying an organization’s culture. • Gaining tools for creating organizational culture (or subculture). • Creating symbols to strengthen culture. • Matching culture to support strategy. • Overcoming culture bias in decision making. Everyone in strategy is saying that the key to growth, even just survival, is via continuous and rapid innovation. But the real key to growth via profitable innovation is in fact the strategic development and management of your knowledge: the insights of your employees, your technology, your core competences, and your intellectual property. This session will provide you with the foundation from which to prosper in this, the knowledge age. It will give you specific tools and frameworks to map your critical knowledge, design a program to strategically develop your knowledge, and then exploit it to successfully grow your organization. • A solid conceptual understanding of how to create and strategically manage competitive knowledge. • A tool to assess knowledge-based advantage and to map and develop an organization’s portfolio of critical knowledge assets. Nearly every businessperson agrees that to have a successful company you need a good strategy, yet few people have ever created a “Success Strategy” for their own lives. During the session attendees will do several personal workshops that will help them gain clarity on what they must do to create a more happy, balanced and successful life and career. This program has been taught to senior executives at major organizations around the world and at more than 90 colleges and universities in America. • The development of action steps to make your ideal life become a reality. This session will explain the long-term risks and returns of the bond and stock markets, market valuations, risk return tradeoffs, and interest rates. Know the long term historical returns and risks on assets classes. Determine Valuations and P-E ratios. Toggle Are You As Good As You Think You Are? Self-reflection is a powerful tool in helping us understand ourselves and our leadership capacities. Indeed, even the most seasoned and senior leaders often discover humbling realizations when deliberately reflecting upon their leadership experiences. When thoughtfully considered, such revelations can serve to strengthen us as leaders going forward. As such, this interactive session will challenge participants to think about themselves and their leadership abilities beyond their professional and personal successes, to include those experiences that may not necessarily make their highlight reel. To further gain from practicing self-reflection, participants also will engage in peer feedback. Finally, we will discuss implications for effecting ethical leadership from what we learn about ourselves and others. This session focuses on what it takes to build and sustain an organizational culture that creates highly satisfied, engaged, and loyal employees who possess an “ownership mentality.” The goal of this program is for attendees to understand the importance of creating a culture that embraces change and diversity, fosters accountability, has a strong sense of urgency, and maintains disciplined execution that delivers the required business results. This session will give attendees the tools, ideas, and takeaways that will allow them to go back and immediately begin to move the culture of their firm in a more positive direction. What is the most important thing for living a happier life, even in financial services? What about for building a higher-performing team? All attendees will receive free memberships to a special online site so you can continue applying what you learned after you leave Wharton and share it with your families and teams. Professor Conti-Brown shares the final session in each of his classes in the MBA curriculum at Wharton. The advice is about professional goals, work-life balance, how we should form opinions and gain expertise, and how to engage people from very different backgrounds, whatever they might be. In an interactive discussion format, John Spence will share his perspectives on global business trends and initiatives from his work within the US and businesses around the world. Effective leaders recognize they must carefully manage both the external and internal environment. They inspire, provide clarity of purpose, seek diversity of thought and contrary views, and build a culture of trust. Leaders also develop a keen awareness of external forces and turn threats into opportunities by building an organizational capability of adaptability. In short, leaders build a PERCEPTIVE organization that is poised to achieve and maintain sustainable positive results. The MicroInequities: Managing Unconscious Bias™ program focuses entirely on actionable solutions to actively manage unconscious bias in the workplace—actions that result in measurable behavior change. It provides the techniques and tools that make people skilled at driving change—not just being aware. Being smarter about Unconscious Bias isn’t good enough—People must become motivated and skilled. Participants leave the session with the ability to immediately put what they learned into action to improve the quality of their own performance and enhance the ways others can be motivated to perform. Establish the definitive link between diversity and leadership effectiveness. Uncover the ways micromessages impair or enhance workplace performance. Create a team culture that recognizes how differences lead to discovery. Develop skills that change the ways we send messages in order to motivate and inspire performance. Achieve a level of acceptance by senior leaders to embrace the concepts and act as change agents by modeling the prescribed behaviors. Forge systemic acceptance and behavior change that drive diversity and inclusion at all levels. Sponsored by Broadridge Financial Solutions, Inc.
Join fellow SII 2019 participants for a night of networking and fun. Dinner and drinks will be served. Casual attire is appropriate for this reception (including jeans). A new Congress convenes in 2019, returning split government to Washington. The new democratic-led House is expected to hold aggressive oversight hearings into the Trump administration’s policies. At the same time, the administration will continue to assert its regulatory authority in a number of areas, including expanding and increasing tariffs on imports; reducing the scope and effectiveness of the Affordable Care Act; imposing and enforcing new immigration restrictions; reducing the availability of Medicaid and other “safety net” programs; and rolling back industry-specific regulations. In addition, the SEC has proposed new “broker conduct” regulations, while the DOL is considering another look at its prior proposal. The scope, effect, and prognosis of regulations governing broker conduct. Along the way, Andy will consider how each of these items is likely to affect taxes, the economy, specific economic sectors, and the markets in 2019 and beyond. In addition to these insights, Andy will provide strategies that investors and financial advisors can consider to take advantage of (or protect against) market effects and volatility arising from these initiatives, as well as specific strategies for investment, wealth transfer, and retirement planning. When Sarah Robb O’Hagan was starting out as a marketing associate with the Virgin Group, her CMO abruptly left, creating a vacuum in the department. After identifying a lack of leadership, Sarah drafted a 30-page marketing proposal, slipped it under the company President’s door, and immediately got promoted. Sarah’s career has taught her innumerable lessons about succeeding in life and business, but the most important is this: You don’t get promoted for just showing up and doing your job—you have to get out of line to deliver more for the team and stand out. Sarah will outline why giving is receiving, how problem solving is the single most important thing you can do to get ahead, why you need to take risks and “crash more”—using failure to fuel personal growth—and how to amplify your unique strengths to create growth runways.